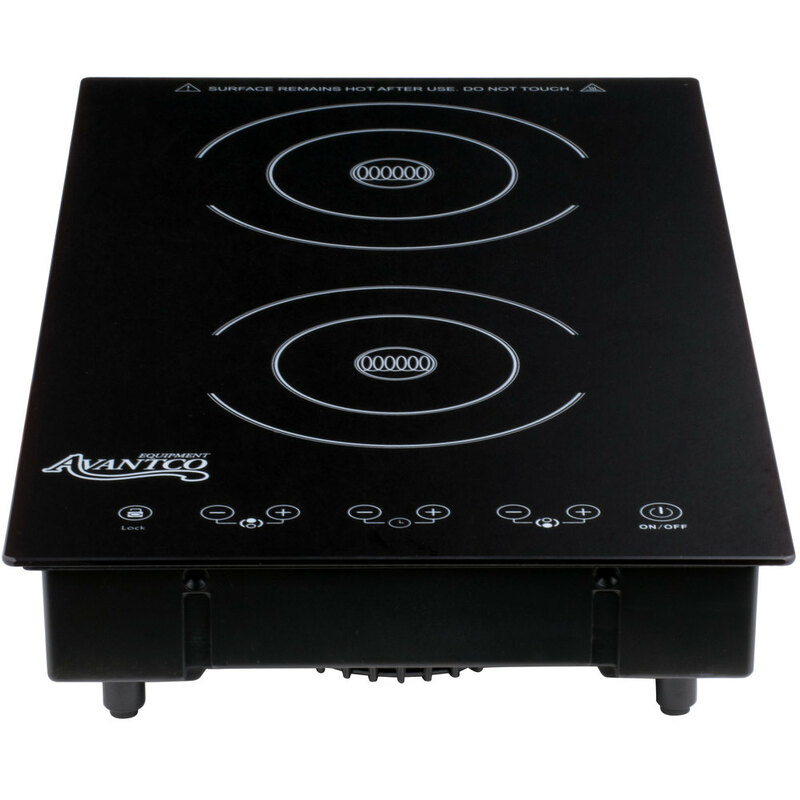 Efficiently cook a variety of your signature dishes with the Avantco D18DB drop-in double induction range / cooker! 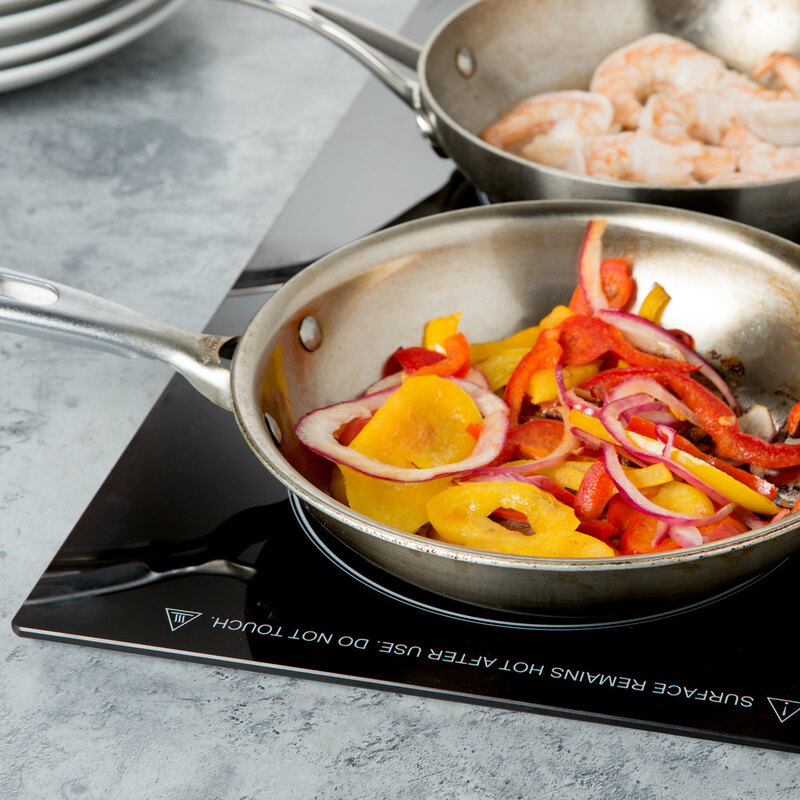 Induction ranges are perfect for creating omelet, stir fry, and pasta stations at your hotel breakfast bar, buffet, or catered event. 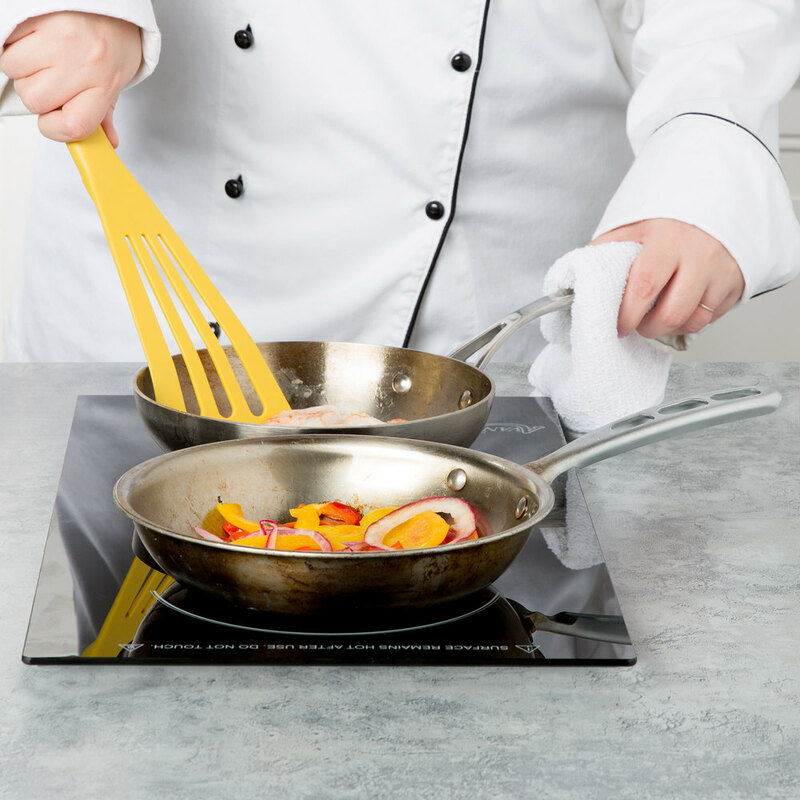 Great for front-of-the-house display cooking, this induction range eliminates the need for open flames and helps reduce the amount of heat in the room for a safer, more comfortable cooking environment. Plus, this range boasts a sleek, drop-in design for a professional look that will impress your guests. 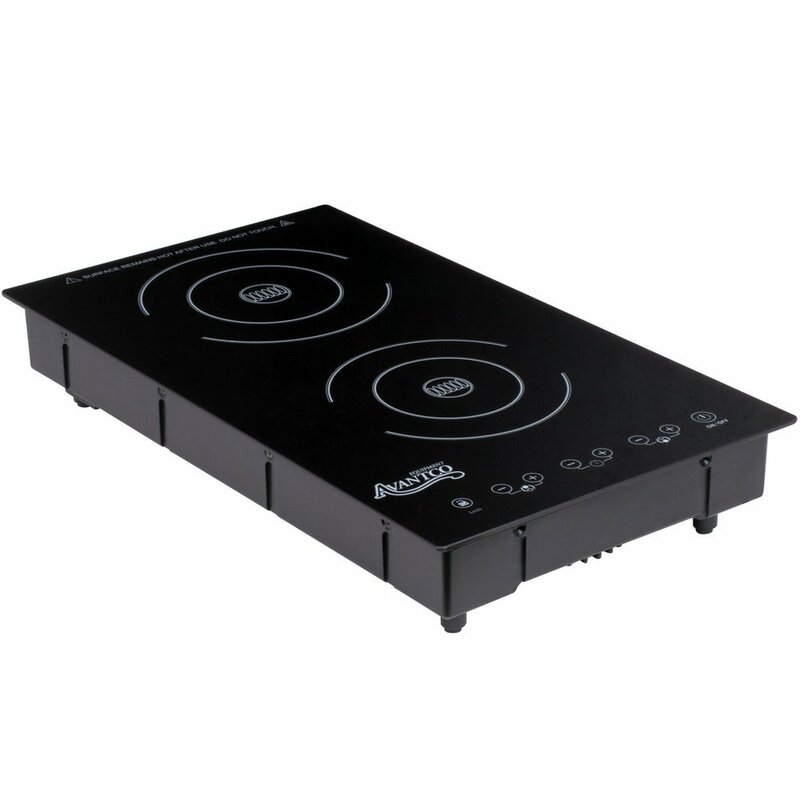 This induction range features 1300W of heating power on the front burner and 1800W of heating power on the back burner in a compact and convenient footprint that sits flush with your countertop for easy use. The individual, integrated touch controls make the unit simple to operate, and the large LED display clearly shows important information while you cook. Made with a durable plastic frame and a hard glass top, this range ensures long-lasting durability while providing a sleek and modern appearance. 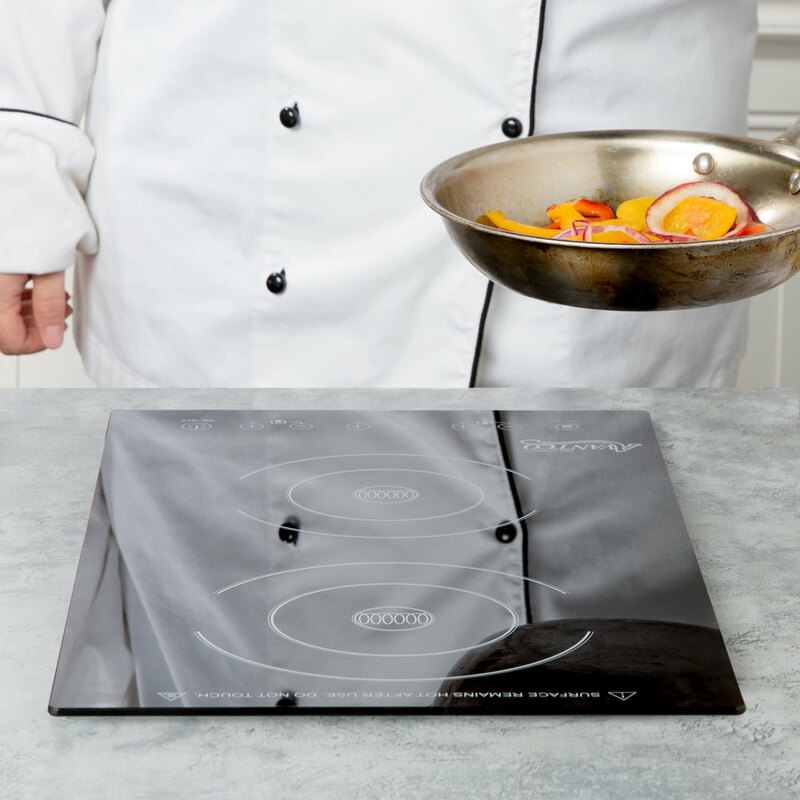 The digital temperature controls let you modify temperature in 30 degree increments from 140 to 464 degrees Fahrenheit, and a convenient timer lets you set a countdown between 1 and 175 minutes. And because its top is made of single-piece glass, it can be cleaned by simply wiping it down at the end of a long and busy day. This unit requires a 208/240V electrical connection. 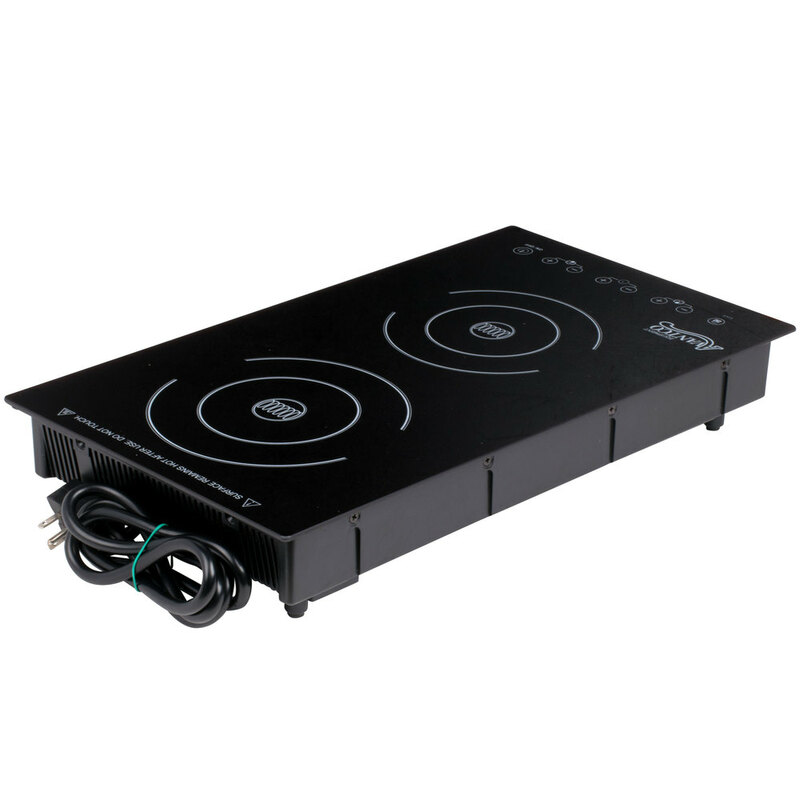 we have been using these everyday for several months now and they are working surprisingly very well for an induction burner. recommend the 240 v rather than the 115.